Join the Spection artists in THE GALLERY to gain insight into their personal backgrounds and creative practices. Included with ahha admission. Spection is an invented word combining the Latin root, “to see,” with the suffix, “the act or condition of.” The term describes the construction of visual narratives to respond to personal experiences, observations, and ideas. From embroidery to digital painting, this circle of artists engages in spection through diverse and unexpected media. Their work is united by their bold use of color, careful attention to craft, and an inclination towards honest observation and reflection. Katelynn’s site-specific installation invites viewers into an imagined realm that playfully explores the nature of materials, color, and space. 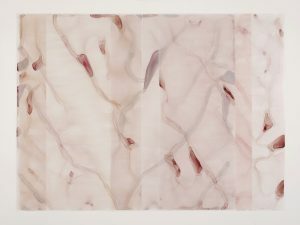 Using these elements, come close, get lost, shares aspects of the artist’s personal narrative regarding occupying space, processing memories, and navigating social environments. Frequently depicting human and animal figures in richly ornamented costumes, Kathleen’s relief prints tell wordless stories. One of these costumes steps out of its print as a hand-embroidered silk gown that viewers may touch and explore. Taryn’s interactive installation, Exclude and Embrace, includes two-dimensional soft sculptures made from embroidery and fiber materials. The work is staged like a small theater with three levels and interchangeable characters, resources, and environmental pieces. Visitors may arrange the pieces to create different scenes, dynamics, and balances that relate to situations and struggles we may encounter in our everyday lives. Megan’s watercolor paintings focus on the role that patriarchal religion and culture often play in the oppression of women. Yet these works also explore how women have formed their own congregations to break free and recover. Her video game, Mute, examines these ideas while positioning the viewer as a player. 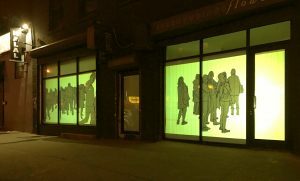 She collaborated with artists David Malick, Megan E. Tiernan, and Domingo Galdos to create this multimedia experience that translates her paintings to a digital environment. Katelynn Noel Knick is an artist living and working in Oklahoma City. Originally from Tulsa, Katelynn received her BFA from the University of Oklahoma, where she studied painting and sculpture. 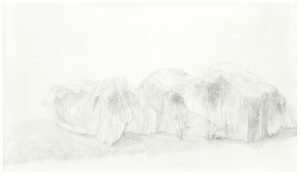 She has exhibited regionally at MAINSITE Contemporary Art, Fred Jones Jr. Museum of Art, and the CASP 5&J Gallery in Lubbock, Texas. Her work has been featured in Art Focus magazine, Oklahoma Gazette, and The Coastal Post. Katelynn is also an active arts organizer. She co-founded the emerging artist collective Art Group and has curated various pop-up shows in houses, alternative art galleries, and non-traditional venues. Kathleen Neeley specializes in relief printmaking, pen and ink, and digital illustration. She received a Bachelor of Fine Arts and a Master of Arts from the University of Oklahoma. Her linocuts and illustrations have been featured on album covers (Trials of Cato, Hide and Hair; The Rheingans Sisters, Bright Field), beer labels (American Solera), merchandise, museum didactic panels for the Sam Noble Oklahoma Museum of Natural History, and in print and digital periodicals (Revue Reliefs; Intercom). The visual style of her work draws heavily from nature, historical costume, and Medieval Mediterranean and pre-colonial Mexican art. Taryn Singleton received her BA in studio arts and a minor in women and gender studies from the College of Charleston in Charleston, South Carolina and her MFA in painting with a minor emphasis in printmaking from the University of Tulsa. She makes paintings, prints, collages, and embroideries that operate within the same frame of visual intention. Taryn teaches art at Dewey High School, works out of her studio in Bartlesville, and exhibits regionally. Megan Dawn Tiernan was born in 1988 in Tulsa. She received her undergraduate degree in studio art from Oklahoma State University in Stillwater, OK in 2012 with a focus in watercolor and drawing. She received her MFA in painting from the University of Tulsa in Tulsa, OK in 2016. Megan exhibited her work locally throughout her undergraduate and graduate studies. Her work has continually focused on feminism and her personal experiences of growing up in a fundamentalist religious culture. 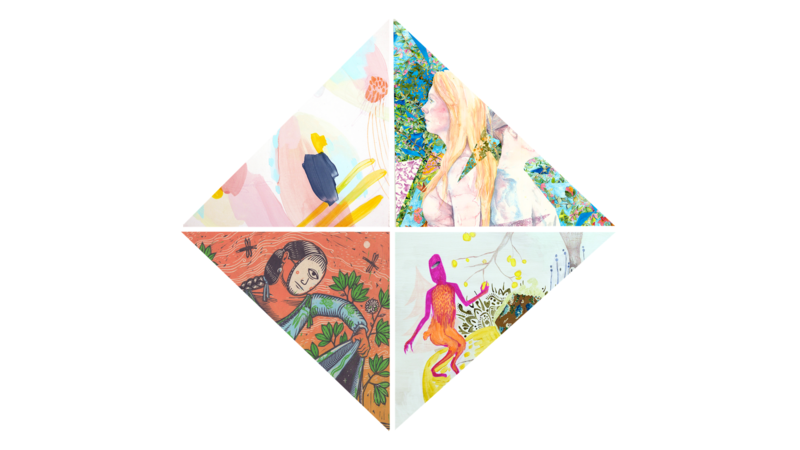 Megan’s more recent works are on women healing together. She continues to live, work, and exhibit in Tulsa.